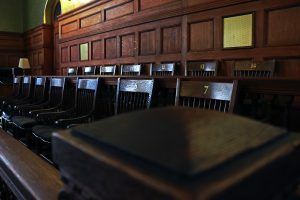 In civil claims, when a jury finds in favor of the plaintiff, the plaintiff is generally awarded damages to compensate for the injuries or damages incurred. Compensatory damages are often awarded to compensate the plaintiff for medical expenses, lost wages, mental distress, and other losses. Punitive damages can also be awarded to plaintiffs in certain cases. 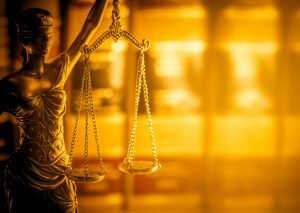 In contrast to compensatory damages that are meant to compensate the plaintiff, punitive damages are awarded to punish the defendant for bad behavior and to deter others from engaging in such behavior. Illinois law permits punitive damages awards if the defendant’s behavior demonstrated “an evil motive” or a “reckless indifference to the rights of others.” In Illinois, punitive damages are awarded for three reasons: to deter the defendant from engaging in such behavior, to deter others from engaging in similar behavior, and to punish the defendant. In state law claims, punitive damages can be as much as three times the economic damages award. In other states and jurisdictions, the amount of allowable punitive damages varies. In any case, a punitive damages award can greatly increase the compensation a plaintiff receives, when it is available. Toxic chemicals can leak into the ground, water, and air, causing devastating injuries and illnesses to our communities. In a recent case, the jury awarded a man $5 million for his injuries and $500,000 in punitive damages against the company for its bad behavior after it dumped a toxic chemical into the river. Compensatory damages are awarded to the plaintiff to compensate the plaintiff for the injuries suffered. 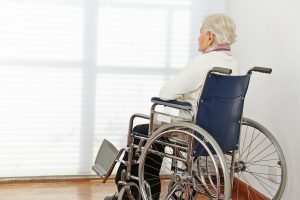 These damages often include compensation for medical expenses and lost wages, and they can also include intangible damages, such as emotional distress. Punitive damages may be awarded in addition to actual damages in some cases. Punitive damages are meant to punish the defendant for harmful behavior and to deter wrongdoing in the future. Illinois views punitive damages as punishment in order to serve three purposes: (1) for retribution; (2) to deter similar conduct by the defendant in the future; and (3) to deter others from similar conduct. In Illinois, in state law claims, punitive damages are limited to three times the economic damages. Illinois allows punitive damages only when the defendant’s conduct was “with an evil motive or with a reckless indifference to the rights of others.” In the DuPont case, the jury was required to find “malice” in order to award punitive damages. Toxic substances can cause serious sicknesses with long-lasting effects. Toxic tort cases are a specific type of personal injury lawsuit in which the plaintiff claims that being exposed to chemicals caused the plaintiff injury. The cases usually require specialized, technical testimony from expert witnesses. Sometimes cases are brought against private companies, or against federal and state agencies that have failed to protect citizens. Individuals who have been exposed to toxic chemicals often need to recover damages to pay for expensive medical bills, as well as damages for pain and suffering. Toxic tort cases can be caused by exposure to hazardous chemicals, wastes, hydrocarbons, or other harmful substances. Some common examples are exposure to asbestos, formaldehyde, and lead. These cases can arise in a number of different situations. They can arise from exposure in the workplace if workers are exposed to toxic chemicals. Many toxic chemicals are used in the workplace, and workers can be exposed regularly over many years, often to higher levels than the general population. These cases can also be brought against pharmaceutical companies, drug manufacturers, distributors, or prescribing doctors if toxic substances are included in drugs. Cases can be brought resulting from exposure to consumer products, such as exposure to mold, formaldehyde, and pesticides in the home. They can also result from exposure to toxins in the air or in drinking water.